Comodo Internet Security Pro is developed by Comodo Group. The company is the leading SSL vendor that offers users antivirus, Internet security, firewall, Endpoint security and other security software for Windows and. The company is now headquartered in Clifton, New Jersey, USA. Comodo was originally founded in 1998 in the UK and since then successfully operates the IT industry. Comodo Internet Security offers a complete protection against viruses and cyber attacks. 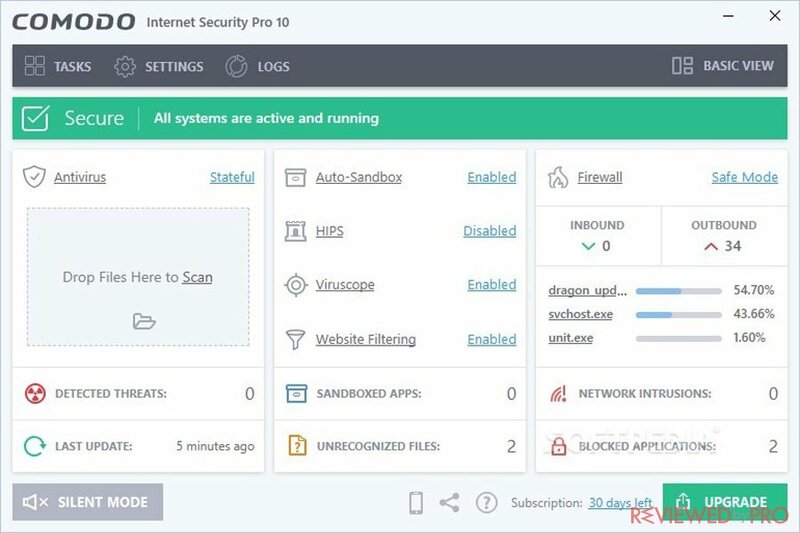 It offers three Internet Security packages for different users’ needs, including Comodo Internet Security Free, Comodo Internet Security Pro, and Comodo Internet Security Complete. All of the packages are compatible with Windows 7, 8, 10, Vista and XP. The download and installation of the Comodo Internet Security software are simple and easy. You can download and install Comodo Internet Security Free for free, or purchase one of the premium version of Comodo Internet Security that includes special features. If you want to try premium, Comodo offers users a free trial. 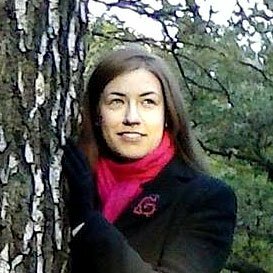 Comodo uses same malware and virus detection techniques to all its Windows products. It applies Defence Plus Technology and Auto Sandbox Technology in order to detect and fight against various types of malware and malicious installs. In addition, all suspicious items are sent to the company’s cloud-based servers for further analysis. According to the independent German-based testing lab AV-TEST, Comodo Internet Security detected 100% of zero-day malware attacks, including web and e-mail threats and 99.8% of widespread and prevalent malware discovered in the last month. 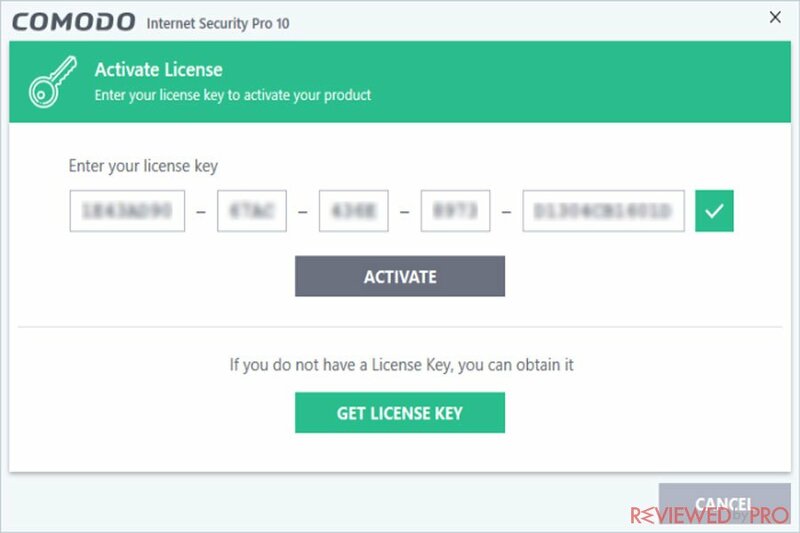 The antivirus delivered only 1 false positive while downloading of legitimate software as malware during a system scan. According to AV-TEST, the antivirus detection rates of the Comodo Internet Security application are nearly perfect. Comodo Internet Security offers special features according to the package. Comodo Internet Security Free includes basic antivirus protection and security features such as Spyware Scanning, Anti-Rootkit, Anti-Spyware, Bot Protection, Memory Firewall and browsing protection feature called Secure Shopping that protects users while banking and shopping online. 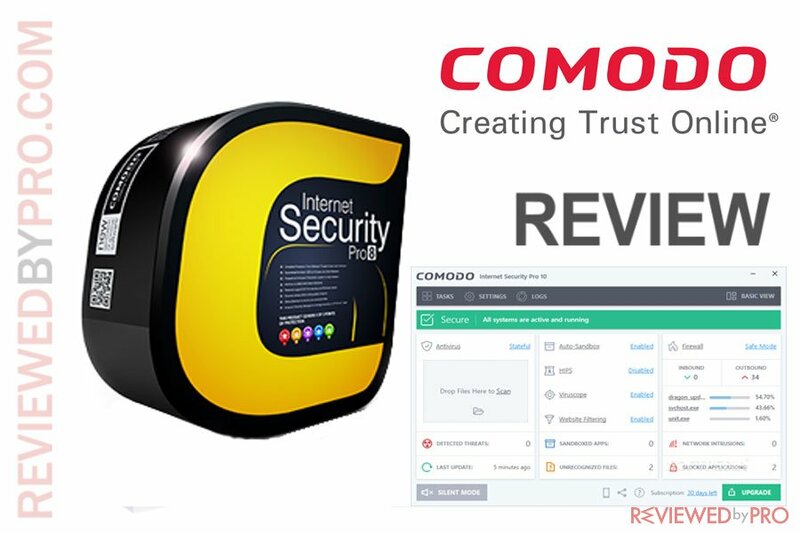 Paid Comodo Internet Security packages include more special features, Comodo Internet Security Pro in addition to basic features, also offers Unlimited Product Support, Unlimited Live Expert Virus Removal and $500 Virus-Free Guarantee, while Comodo Internet Security Complete also includes 50 GB Online Storage and Backup and 10BG TrustConnect WiFi Security. However, Comodo Internet Security does not include privacy or family protection features, as many competitors offer. Comodo Internet Security’s system-performance impact was also tested. According to the independent AV-TEST testing lab, the application had a relatively mediocre system hit. It scored 5.5 out of 6.0 in the performance section, as it slowed down the system while launching popular websites by 6%, the download of frequently-used application, by 1%, the launching of standard software programs by 15% and slowed down the installation of commonly-used programs by 35% while working in the baseline. Comodo offers users a full scan, a quick scan, a rating scan that checks commonly infected areas and a customized scan. The scans work smooth and quick, without causing any system lags or interruptions. The basic look of Comodo Internet Security is very clear and easy to understand. All the main features are accessible from the main interface window. The subsections are informative and include a lot of more at-a-glance data. Comodo provides users all options and information in a well-organized way. The interface is bright and modern-looking and also includes a drag-and-drop area to scan files and folders for viruses. What we did not like, Comodo requires you to install unwanted software and change your default browser’s search engine. Comodo Internet Security offers users advanced antivirus and malware detection. Comodo Internet Security can protect your system for free, and even paid versions are not too expensive. However, it does not include privacy or optimization features. As a result, Comodo Internet Security is a good choice for those, who look for reliable and affordable antivirus and anti-malware protection for their Windows PC. 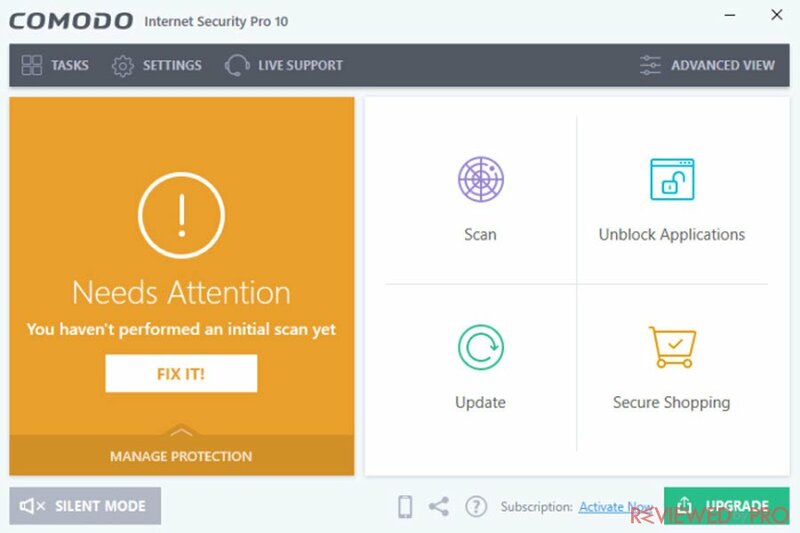 ^ Comodo Internet Security Pro 10. Comodo. ^ Comodo Test Results. AV-TEST. This entry was posted on 2018-06-05 at 08:24 and is filed under Security.